Thirteen years ago, Dr. Hulitt Gloer and his wife Sheila made their first visit to the Monastery of Christ in the Desert. 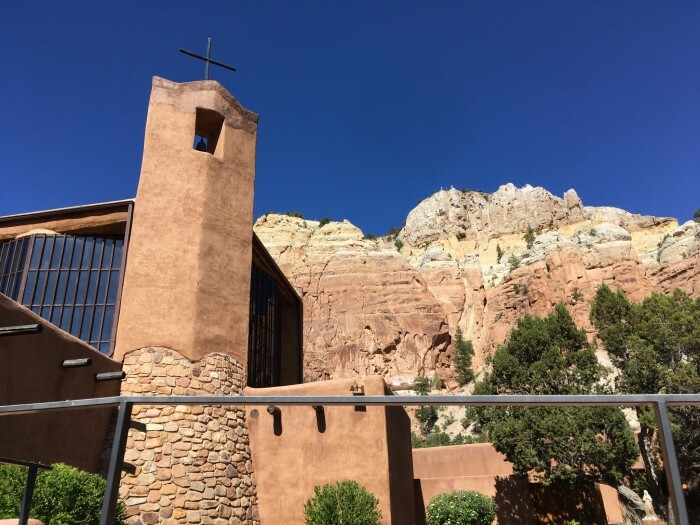 Located on the banks of the Chama River near Abiquiu, New Mexico, the Monastery is home to a community of monks who live their lives according to the Rule of St. Benedict. After his first visit, Dr. Gloer knew he had found a place that his students at George W. Truett Theological Seminary needed to experience. Since that time, Dr. Gloer has taken small groups of Truett students to visit the Monastery at least once a year, most recently in May 2018. Unlike at some other monasteries, the monks of Christ in the Desert are very interactive with their guests, giving tours and answering questions. During their visits, the Truett students follow along the monks’ daily routine, which includes seven prayer and worship times each day, Mass, a time of work—pulling weeds in the garden, washing windows, working in the gift shop, among other tasks— and silent meals. During their times of prayer, the Christ in the Desert monks chant the Psalms over the world. Each week, from Sunday to Saturday, they pray through the entire book of Psalms. Also, during Truett’s visit, Dr. Gloer had the opportunity to lecture on the idea of Jubilee in the books of Luke and Acts to the monks. By demonstrating a commitment to daily prayer, Scripture readings, and the completion of a test several years ago, Dr. Gloer actually became an oblate, or honorary monk, of Christ in the Desert. The monks of Christ in the Desert are all men, but from a variety of backgrounds and life stages. One monk with whom Boyd worked is 23 and came to the Monastery right after high school while another also came straight from high school but is about to turn 60. Another monk is in his mid-60s but just joined the Monastery a few years ago from a career in law. 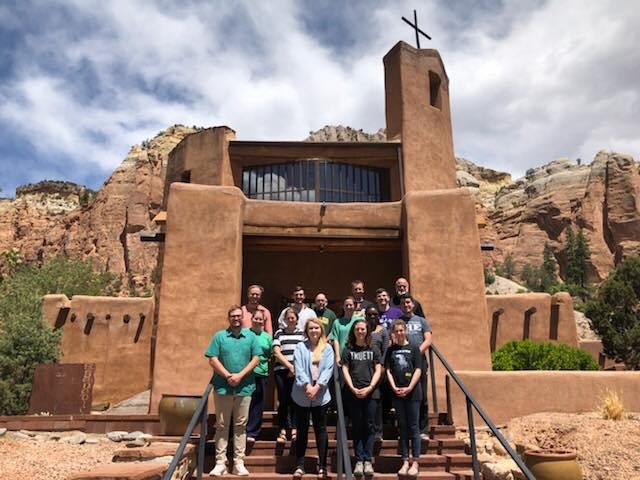 For the Truett students and staff who visited the Monastery, the eye-opening experience of a life lived in prayer and, often, silence is one that made both an immediate impact and one that will take years to process. “One thing that impacted my week and is still impacting me today, is a few wise words from Dr. Gloer,” said Denisha Akpan, another Truett student who participated in the May trip. “Once we arrived to the monastery, Dr. Gloer paused intently and asked the class ‘Are you here yet?’ Those words have become my constant prayer. ‘Lord, am I here? Have I arrived at each beautiful moment you are painting on the canvas of my life and am I truly experiencing the grace, mercy, forgiveness, and presences of your Spirit? Or, am I flying through each moment never really arriving and taking notice of what You have created for me to enjoy.’ I learned from the monks that being present is the moment you encounter God in everything. I pray I will always take notice of God's Spirit and be present in the life He has given me."